The 2000’s were fun, the 90’s were great, but it’s the shock value of the 80’s that makes me think I missed something important. The way I see it, life was too good, people lived life in capital letters, and jean jackets. Man, what I wouldn’t give to be there for just a week and go to a good White-snake concert with four bandanas on and gloves with no fingertips. Some people say I over emphasize the glory of this decade, but I’ve seen Hot Tub Time Machine, ok, I know what went on. And no, this clip is not from Rocky, unfortunately. 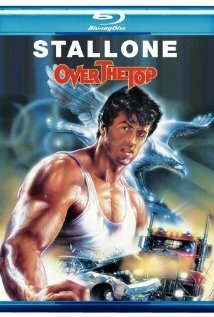 This is a movie called “Over The Top”, released in 1987, starring Sylvester Stallone, and well, its about.. I’m not going to even attempt to describe it in detail, so here it is in a nutshell. Success, adversity, heartbreak, Stallone face, ridiculous scenario/sweaty muscles, and flashing lights all accompanied by absurdly colorful characters. Over the top is no overstatement, and it couldn’t have gone better. Enjoy this gem. Next Next post: Upcoming Stories in THE U, Featuring UMass, Keene State, and the one and only, Penn State.